Scott Johnson started his professional writing career in 2007, specializing in health and fitness. He is the author of two books, including "The Word of Wisdom: Discovering the LDS Code of Health." Johnson holds a doctorate in naturopathy. A liquid fast involves abstaining from solid food for a period of time, usually one to three days. 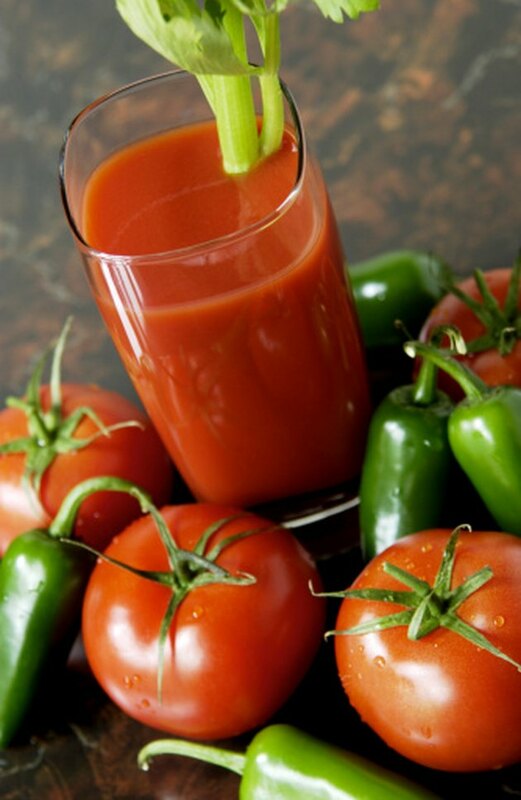 Fresh vegetable and fruit juices, herbal teas, water and vegetable broths replace solid foods in a liquid fast. Benefits you may experience from a short-term fast include weight loss, detoxification, and improved organ and gland function. Combine fasting with laxative use or enemas to further cleanse the lower digestive tract. People in good health are normally able to tolerate a fast, but those in ill health should seek medical advice first. Fresh vegetable and fruit juices supply an abundance of easily digestible nutrients, including enzymes, vitamins, minerals and electrolytes. These nutrients are readily absorbed and may improve organ and gland function, as well as focus your body’s efforts on rebuilding activities rather than on digestion. At the cellular level, these nutrients aid the body in the destruction of aged and dying cells and speeds the building of new, healthy cells, according to “The Juice Fasting Bible.” All of this can result in improved bodily functions and a more youthful appearance and feeling. According to the Ohio State University Extension, toxins -- heavy metals, chemicals and metabolic byproducts -- can enter your body through ingestion, direct skin contact and the air you breathe. Liquid fasting supports the eliminative organs' efforts to detoxify by enhancing organ function, according to Mark Stengler, a naturopathic physician and author. Enhanced organ function improves the processing and elimination of toxins and metabolic wastes. The constant supply of supportive liquids may also cleanse the digestive tract of mucous and accumulated waste. Consult your health professional before beginning a fast. Do not fast for more than three days without medical supervision. Do not undertake a liquid fast if you are pregnant, lactating, underweight or have a medical condition that precludes fasting. Children should not fast. When fasting, you may experience side effects such as headache, fatigue, constipation and increased body odor.